Genre hybrids can be a worrying thing. Think about funk-metal. Or jazz-metal. Or anything-metal. But when it’s done correctly you can have a unique and exciting beast on your hands. 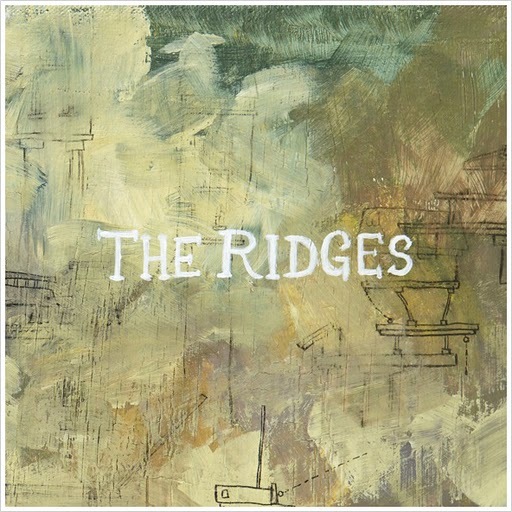 The Ridges mash-up genre of choice is orchestral-folk. Their debut EP features an implausibly long list of credits, which at least seems in keeping with their orchestral bent, but songwriting seems to revolve mainly around Victor Rasgaitis, Johnny Barton and Talor Smith. They all have excellent facial hair, except for Talor. Because Talor is a girl. The trio combine their impressive gamut of instrument playing friends to create a sound that is more atmospheric than tune based, but it’s done so rather well. Overboard pitches a lilting accordion bassline against many layers of vocals, achieving a sound something like Captain Pugwash meets Cold War Kids. Obviously, it is as excellent as that sounds. Not A Ghost is a nice contrast, with an acoustic groove and dramatic stabs from the string section that wouldn’t sound out of place on a Kanye West track. It also features the great and scathing hook, “You don’t have a soul so you can’t be a ghost”. Invented Love throws a great twisted logic around (“This word is worth a thousand picures”), and elsewhere there’s a preoccupation with lack of sleep that permeates the EP and makes sense of the lilting, drowsy-eyed rhythms of the first few tracks. In fact it’s only Invented Love that falls a little flat, and it’s strangely bouncy demeanour is out of keeping with the melancholic fascination of the other tracks. Final song War Bonds sees the sometime three-piece back on track however; it’s a highlight of the short collection, all muted violin melodies and morbid lyrics about dead friends. Overall the eclectic instrumentation, sombre leanings and atmospheric layers mean at their best The Ridges sound like a haunted music shop, and have landed on a genre-hybrid that’s better than the sum of it’s parts. And better than funk-metal.